AbdulMajeed Abdulla Mohsen is an established Bahraini human rights defender and has been an advocate of civil rights in Bahrain since 2011. Also known as a “Father of the Revolution,” AbdulMajeed has a history of being unlawfully arrested for his activism. On 19 September 2018, AbdulMajeed was arrested for participating in a religious ceremony connected to his observance of Ashura, violating both his fundamental rights to freedom of expression and freedom of religion. On 19 September 2018, officers from the Manama police station called AbdulMajeed and summoned him to the station. Instead of going directly to the station, AbdulMajeed first attended Central Prayer and then a ceremonial funeral as part of his Ashura observance. Once at the police station, he was arrested and taken into custody. Because he was arrested at night when his family was sleeping, he was not able to contact them until the following morning. AbdulMajeed explained he had been arrested by Bahraini law enforcement and that he was going to be detained for 15 days for investigation at Dry Dock Detention Center. He was taken to Dry Dock Detention Center where he was instead detained for 40 days. AbdulMajeed was arrested with six other men who participated in the same ceremonial funeral. It is believed that the arrests were made to stifle religious expression, and targeted those who openly participate in activities not condoned by the Sunni government. These arrests were part of broader religious discrimination during Ashura, as individuals in prison who observed ceremonies connected to Ashura also suffered retaliation and were openly punished, and police disrupted multiple Ashura funeral processions. While AbdulMajeed was detained at Dry Dock, he was denied access to necessary medical care for both his diabetes and a diagnosed prostate condition. Specifically, he was denied access to medication, painkillers, and clinic visits despite repeated requests for all three. To further decrease his quality of life, the detaining authorities denied AbdulMajeed all access to reading materials – both secular and religious in nature. AbdulMajeed’s family paid AbdulMajeed’s bail and he was released before his hearing. On 10 October 2018, AbdulMajeed was tried on a charge of illegal gathering in 2015 in Ali Bilad. He was convicted and sentenced to six months in prison. He was held until 29 October when he was tried on the charge of attending an unauthorized funeral. He was found innocent and released from prison. AdbulMajeed is currently appealing the 10 October hearing and sentencing. While he is currently free, he may be arrested to enforce his six-month sentence soon. A date has not yet been selected for his appeal. 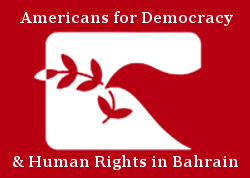 Americans for Democracy & Human Rights in Bahrain (ADHRB) submits that AbdulMajeed’s treatment is evidence that the Bahraini government has violated the terms of treaties to which it has acceded, including the Convention against Torture and Other Forms of Cruel, Inhuman or Degrading Treatment or Punishment (CAT), the International Covenant on Civil and Political Rights (ICCPR), and the International Covenant on Economic, Social and Cultural Rights (ICESCR). The continued denial of necessary medical care to AbdulMajeed qualifies as ill treatment, as it is the intentional infliction of physical pain for the purposes of punishing him. Bahrain has also failed to meet international standards for detention as outlined in the United Nations Standard Minimum Rules for the Treatment of Prisoners (known as the Nelson Mandela Rules), particularly rules 24-35 which dictate the healthcare services that should be provided to prisoners and detainees. ADHRB calls on Bahrain to uphold these standards and obligations, and to respect the human rights of AbdulMajeed, as well as all prisoners and detainees. We further call on Bahrain to ensure that individuals are not arrested in violation of the rights to freedom of assembly, association, or religion, or for any discriminatory purpose.